Here at Fortress we know that for an avid baseball fan or future baseball star, there’s nothing more enticing than the prospect of spending a long afternoon inside a batting cage sending ball after ball into the far end of the netting. As devoted baseball fans ourselves, we also know that there’s nothing more frustrating than retrieving ball after ball due to tears and holes in poor quality batting cage nets. That’s why at Fortress we only manufacture baseball nets of the highest specification, to ensure that you spend less time fetching balls and more time playing ball. 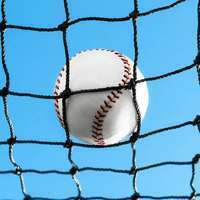 Baseball nets are not only essential to save you time and energy fetching balls, they’re also a must have for anyone playing in their backyard or near a building to prevent damage and injuries easily caused by stray balls. Fully enclosed batting training is the only way to eliminate the possibility of broken windows, and Fortress batting cage nets are the most robust nets on the market. Each of our batting cage nets are crafted from super supple multi filament twine, which increases the nets ability to absorb shocks from powerfully struck baseballs and drastically increases its durability. 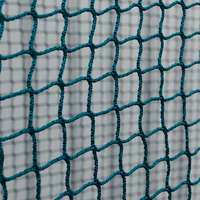 To further enhance the durability and longevity of our baseball nets we treat every part of the twine with UV light to stabilise the cage netting and make it chemically inert. This process also makes the batting nets 100% rot proof, 100% weatherproof, and able to withstand direct sunlight of the highest intensity. All of these factors combined mean that once you’ve put the netting up there’s no need to keep taking it down due to the weather. 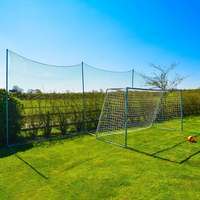 Our baseball net is as dynamic as they come, suitable for use both indoors and outdoors. If your backyard batting cage net is looking tired or has started to rot, tear or stretch, investing in Fortress baseball cage netting is the only solution to give your cage a new lease of life. 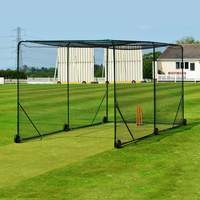 Due to its supple construction its also perfect for hanging from cable wires often used for indoor batting alleys, and can be a more affordable solution to protecting your players and surroundings than purchasing multiple screen protectors. 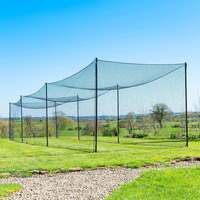 With a vast array of sizes to choose from, ranging from mini softball batting cage nets to extra large 70ft baseball cage netting, we’ve got the perfect size to meet your bespoke requirements. The options are endless, with up to 3 types of grade to choose from, depending on the twine weight and thickness you need. 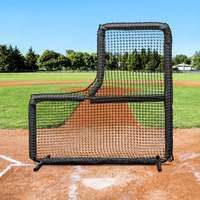 If you’re a little league beginner looking to improve your technique then our #36 grade softball hitting net is perfect to enclose your batting practice, but for big league belters developing upper body strength to hit for the fences we recommend the ultra-strong and long-lasting #62 weight density twine to protect your team mates and surroundings. 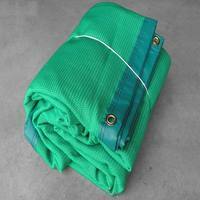 Our baseball backstop net is fully edged, long-lasting and available in an awesome 16 sizes! 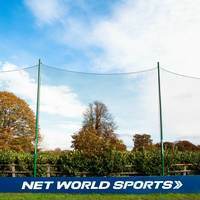 With a 2mm (5/64″) and a 48mm (1 3/4") mesh, fully overlocked rope edges on every side and UV treated twine, the Fortress backstop netting is a long-term investment and will remain in pristine condition for seasons to come. For the creative baseball fan, or for baseball players with specific requirements on batting cage shape, the Fortress Trapezoid Baseball Batting Cage is the only answer. 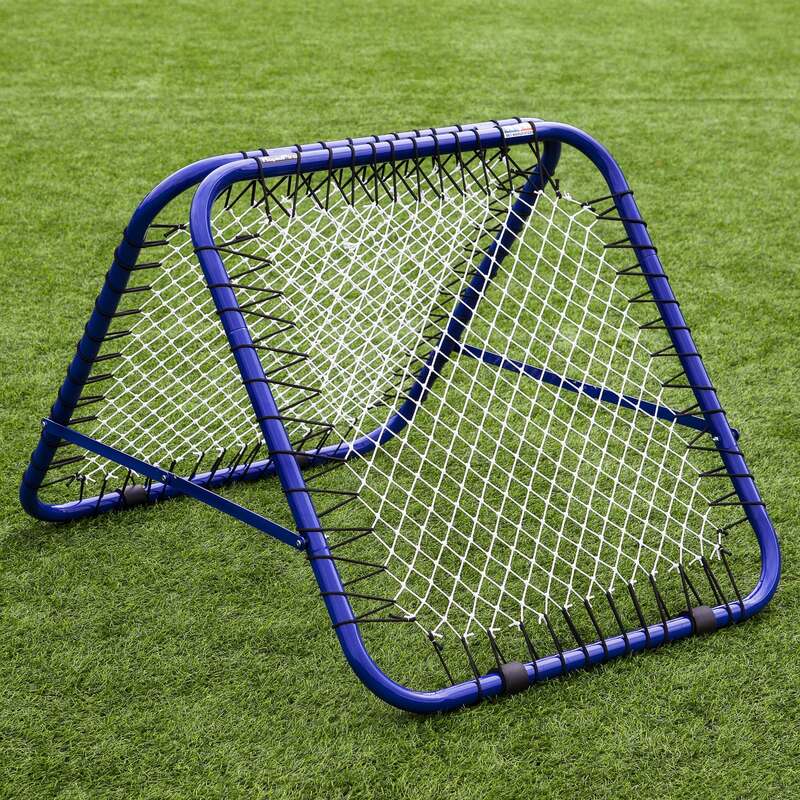 This superb net and connector kit offers all of the quality assurances that Fortress baseball equipment offers without the limitations of standard batting cages. 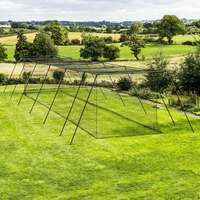 Choose from 3 different sizes ranging from 35ft to 70ft and create a baseball batting cage unique to your space. Get creative and shape your dream baseball arena right in your own backyard on your journey to the major leagues. We’re sure that you’ll never need to replace our baseball cage netting, but if you need to protect your batting nets Fortress have a range of net savers to extend the lifespan of your nets whilst adding new dynamics to your pitching and batting training. 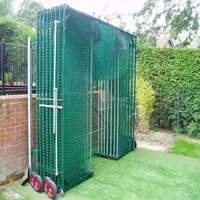 With green, white and black net savers to choose from you can customise the look of your batting nets in style. The Fortress Vinyl Net Saver with Strike Zone provides a target for pitchers to hit when practicing with or without a hitter on the receiving end of their fastballs, changeups or breaking balls. 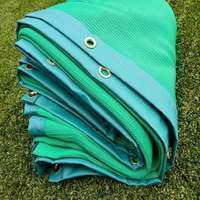 The heavy duty 10ft x 10ft x 10ft Net insert for batting cages was designed for use as a golf impact net but provides a super strength inner layer for your batting cage if your big flies are constantly battering your batting nets. If you need to hang your baseball net then the Fortress Netting Wire Tension Kit is the complete solution to secure your netting to a frame, cage or poles. Including a galvanized steel wire, snap hooks, wire rope grips, eye plates, screw hook and eyes and a wire cutter, this heavy duty kit will have you hitting for the fences in next to no time. 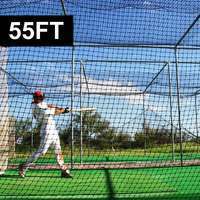 For use with your batting nets, why not try fine tuning your muscle memory by adding a Fortress batting tee to your order? This simple yet super effective piece of baseball training equipment is a must have for hitters of all abilities. Or if you’re serious about improving your batting average, take a look at the prestigious Paceman pitching machines to pair with your backyard batting cage for the ultimate dream team. When you buy Fortress baseball equipment, batting cage nets, baseball pitching screens, backstop netting and more, you know that your new equipment will last a lifetime. Our research team and manufacturers work tirelessly to deliver a fantastic portfolio of high quality sporting goods that provide our loyal customers with equipment second to none. The Fortress customer care team are available around the clock to provide all of the specifications, instructions and guidance that you could possibly ever need. Combined with our lightening quick delivery service, there really is no reason to look further than Fortress for all of your baseball equipment needs. 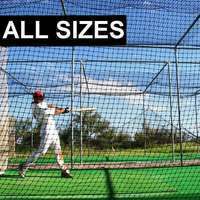 We offer a large range of baseball batting cage nets in standard sizes. However, we understand that you may be seeking a baseball batting cage that needs to meet your exact requirements. Please get in touch with one of our friendly, knowledgeable sales assistants who will be able to advise you on your options and provide an instant quote. We offer friendly, impartial advice throughout the day and will do our best to make sure you are armed with all the options available to you.